Since these handmade earrings are so enchanting in their design, I just had to name them ENCHANTMENT. 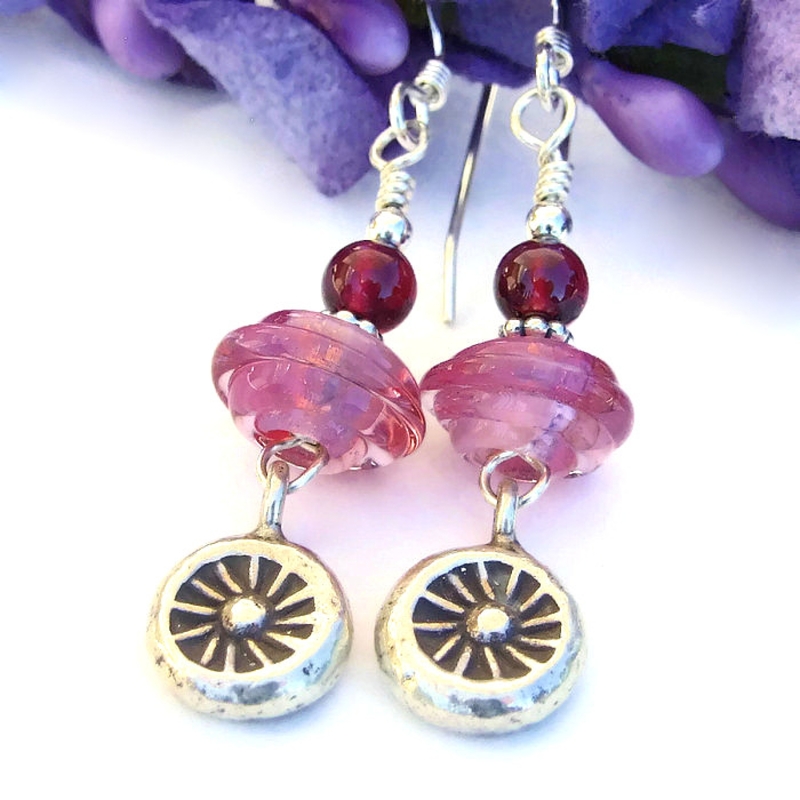 Exquisite Thai Hill Tribes fine silver charms in a tribal sun design are the focals of the earrings. 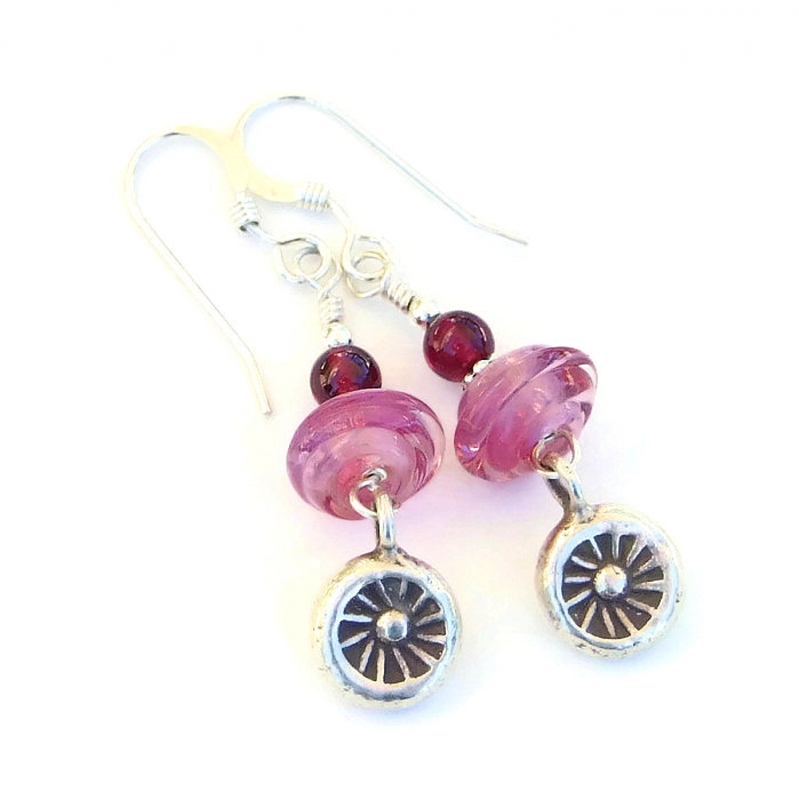 They dangle from artisan handmade, pink lampwork glass beads in a fun UFO shape. 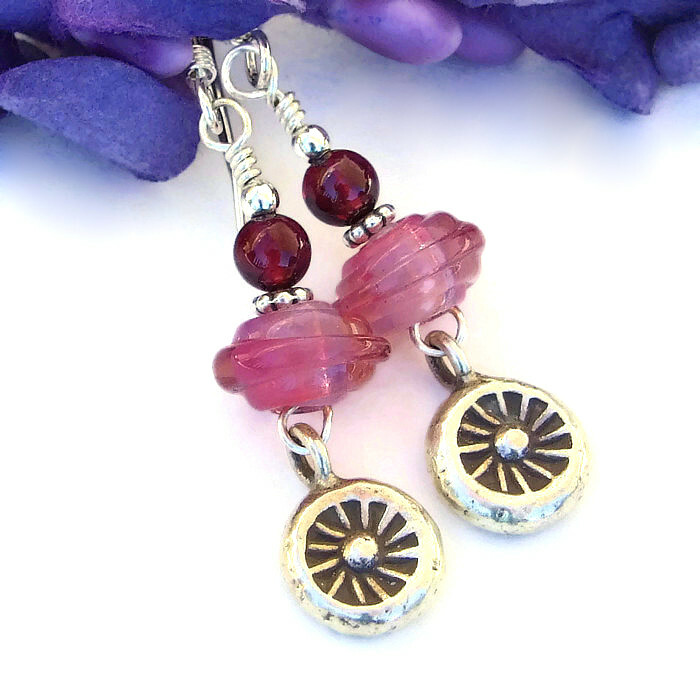 Stacked on top of each lampwork bead is a rich, wine red almandine garnet round. 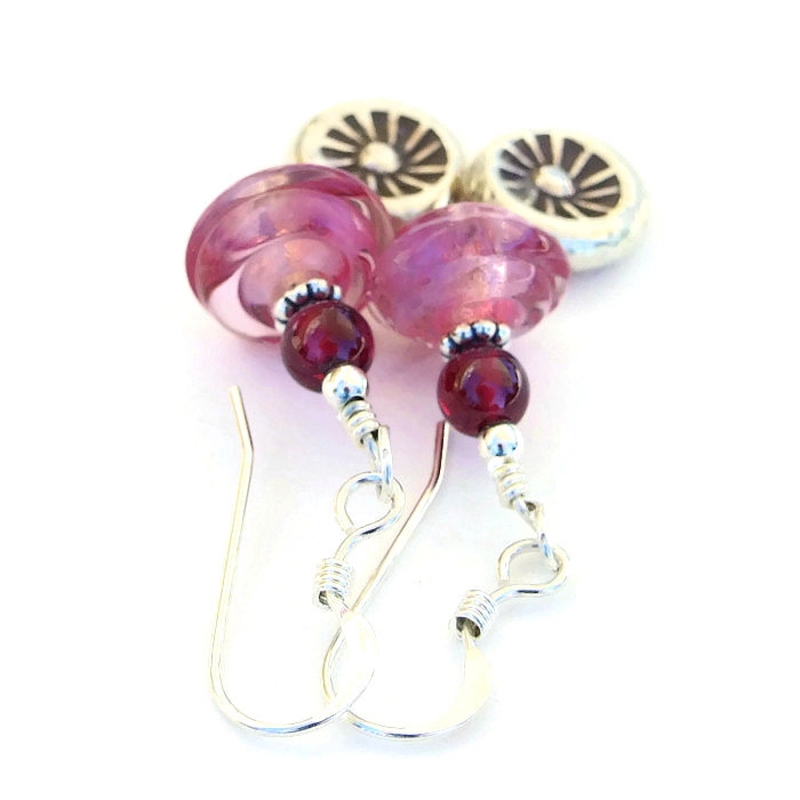 The sweet dangle earrings positively sway and glow when worn. Just imagine wearing the beauties - real eye catchers! 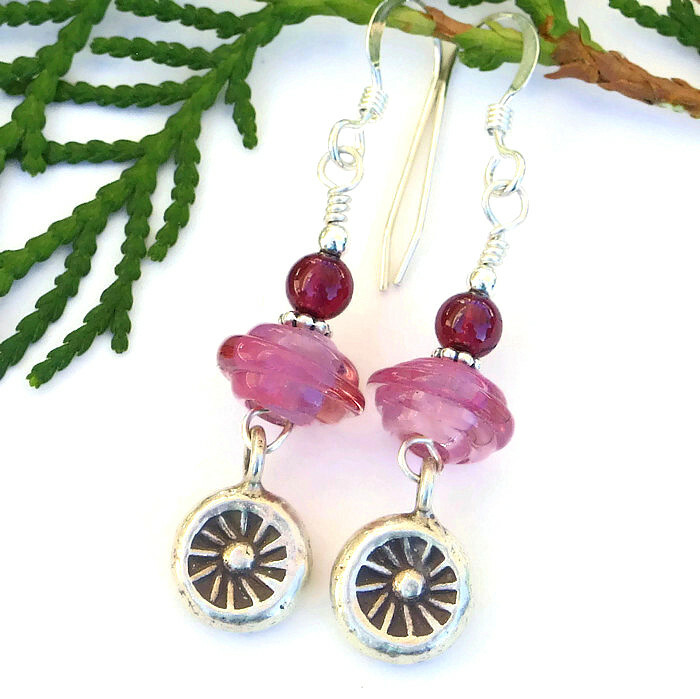 Carefully designed and handmade by Catherine of Shadow Dog designs, the ENCHANTMENT earrings were created for the woman who loves one of a kind jewelry and will make a perfect Valentine's Day gift. 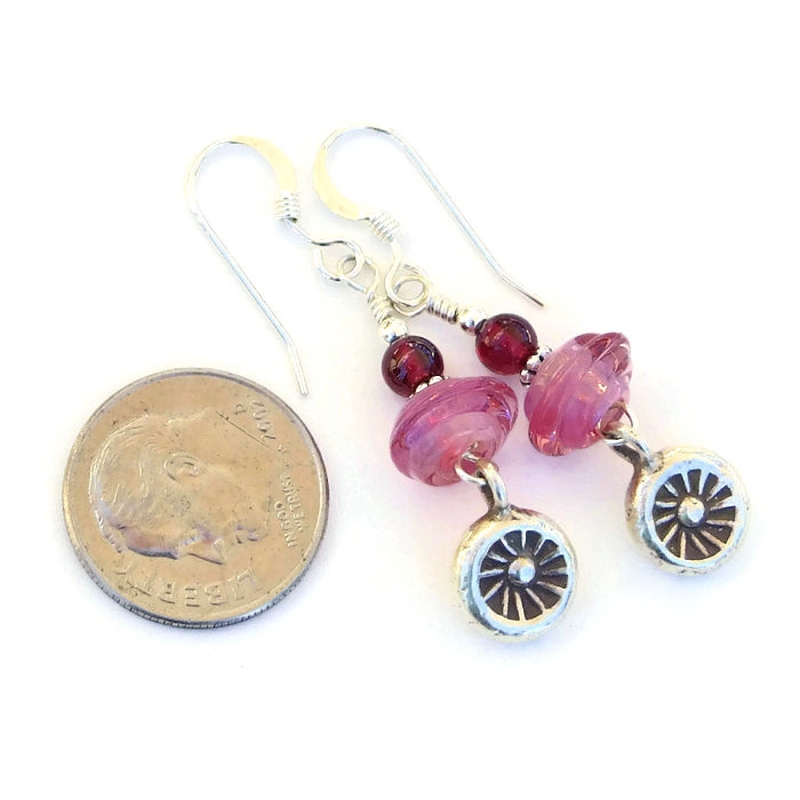 For a better understanding of the relative size of the ENCHANTMENT sun charm earrings, please be sure to check out photo #5 for a size comparison with a dime. The sun has been seen as a life giving force throughout history and a represents spiritual intelligence. Even though man made, glass and crystals carry the energies of transformation, rebirth and communication. Almadine Garnet assists in maintaining a calm connection to the present. Silver is a metal of love and healing; it is a mirror to the soul, helping us to see ourselves as others see us. 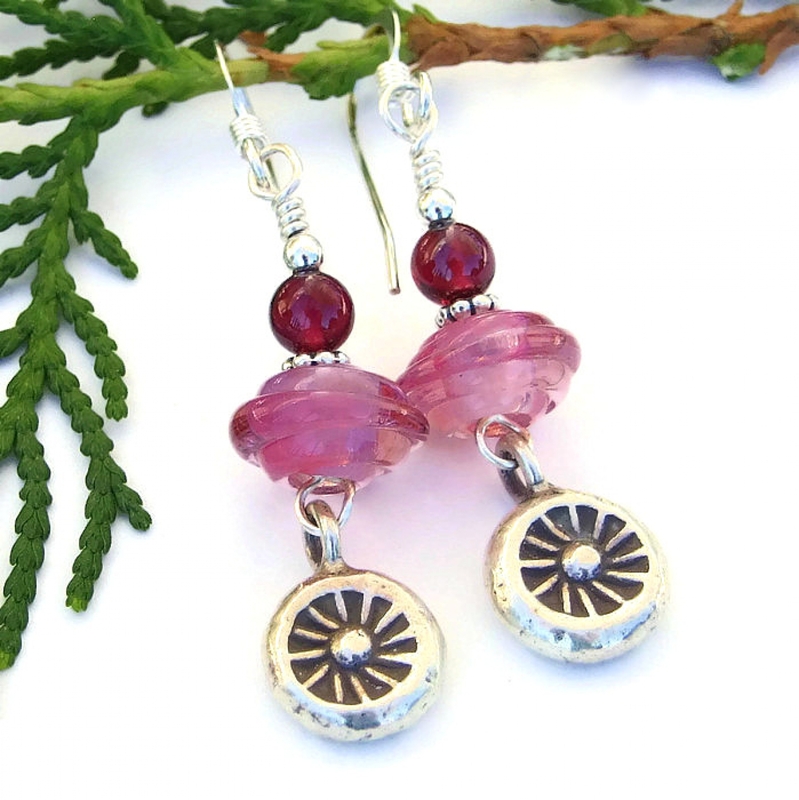 The ENCHANTMENT handmade earrings will be carefully packed in an organza jewelry bag, perfect for gift giving to a loved one . . . or to yourself!